Garnet black color. Creamy, attractive aromas and flavors of vanilla custard, boysenberry pie, and chocolate toffee with a silky, bright, fruity medium body and a smooth, brisk finish with shades of spiced poached apple and nuts with crunchy tannins and moderate oak flavor. A pleasant fruity, lightly creamy red quaffer. 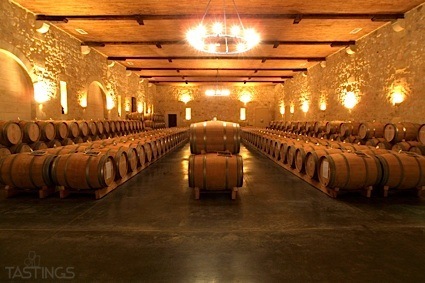 Bottom Line: A pleasant fruity, lightly creamy red quaffer. 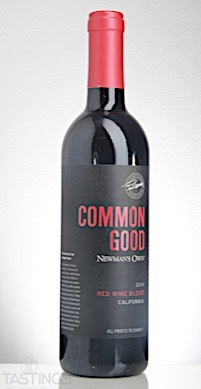 Newman’s Own 2014 Common Good Red Blend, California rating was calculated by tastings.com to be 84 points out of 100 on 9/22/2017. Please note that MSRP may have changed since the date of our review.